Do you live on the Upper East Side and looking for a professional rug cleaning service? 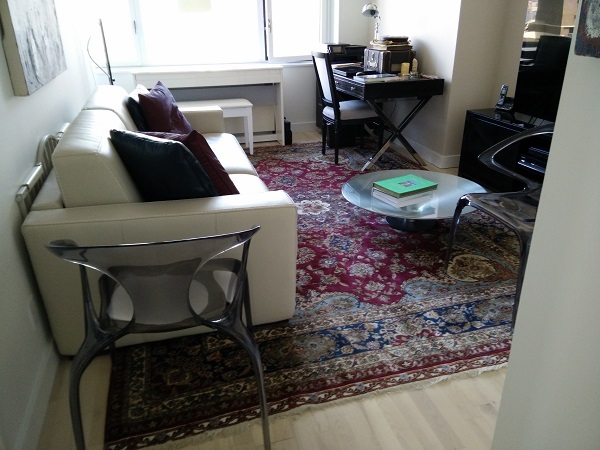 As a local rug cleaning company based in Manhattan we take extra care for our clients in the Upper East Side, NYC giving them the best possible Area rug care we can provide. Our reputation on the upper east & west side’s goes way back as a local company. As we specialize in fine Oriental rug cleaning & repair, many home owners in this side of the city own these fine rugs and are always looking for a professional and reputable rug cleaning service. What we can do for your Upper East Side rugs? We specialize in general cleaning and spot removal as well as full restoration for handmade rug. Rug Pro NYC is a family business. We operate as a boutique rug cleaning service which means you get to talk to the owners whenever you like. You get updated via the whole process of the cleaning via mail and photos before & after. If you live on the Upper East Side we here to help you with the most professional experience you have ever had with any carpet cleaning company. Call us today to schedule a same day free of charge estimate for your wool rug, silk rug, area rug – we clean all types of rugs.